Again, we can’t thank our sponsors enough for helping make our Five Clip Fever summer contest happen. Jordan Hickey holds it down for WTP and Newfoundland in this one. Filmed by Jacob Manning and Paul Pike. 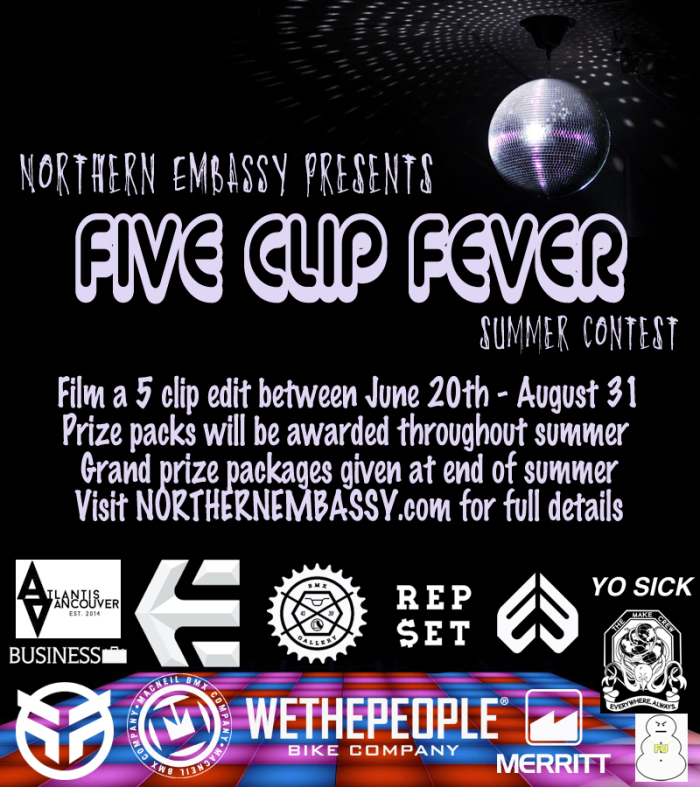 If you haven’t started filming for your 5 clip edit yet, get crackin. In case you needed any extra motivation, WTP’s prize pack includes a frame!